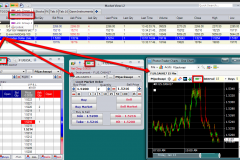 Discussion of the features of the PhotonTrader Market View Quote Screen. 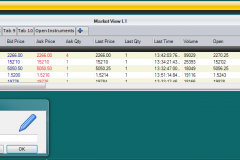 Market view Quote Screen can be configured by tabs and columns. 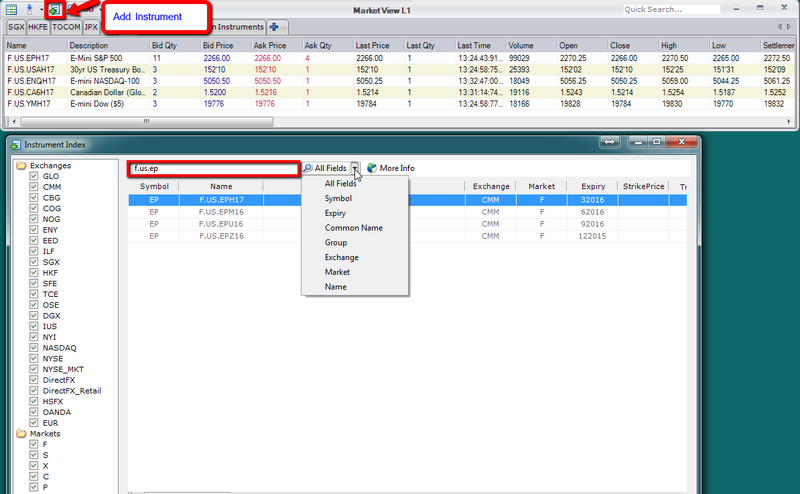 Markets can be added by clicking on the Add Instrument Icon. Type in the symbol that you wish to add to the window, and click OK. Search for markets by additional fields. 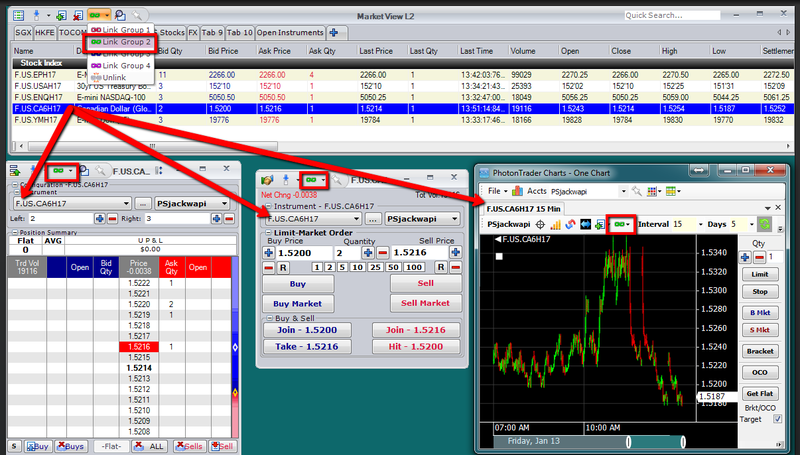 Markets can also be added by right clicking in the Market View Window and clicking Add Instrument. 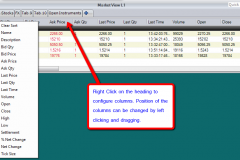 Right clicking on the row will enable a drop-down window that allows for additional commands including opening up additional PhotonTrader Windows, arranging the rows, adding Separators, and Placing orders. Additional Tabs can be created by clicking on the Create a New Tab icon. Names of tabs can be changed by right clicking on that tab, and choosing “Rename”. Columns can be configured by right clicking on the heading, and then selecting/deselecting the desired features. The placement of the columns can be customized by left clicking on the heading that you want to move, and dragging to the desired location. 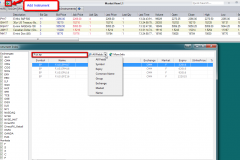 PhotonTrader windows can be linked to the Market View by selecting the chain icon and matching the groups. 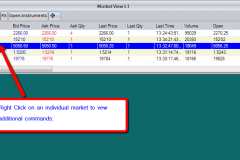 When a line is chosen on the Market View, the other similarly linked windows will change to enable that market.